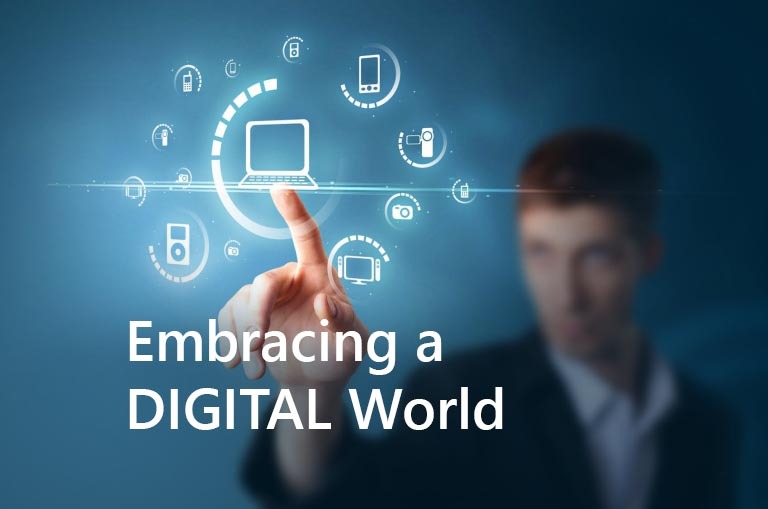 Digital transformation is the modernization of your business, processes, activities, and competencies that give you a competitive edge and transforms your business ecosystem. Digital technologies has impacted all aspects of our lives from automated personal assistants like Apple’s Siri and Amazon’s Alexa, to smart refrigerators, Bank of America’s Live tellers on video at ATMs, and autonomous cars. Digitization is a major disruptor for many industries, the most notable being retail with online shopping, and the hospitality industry with Air BnB, discount websites like Orbitz, lastminute.com etc. where potential guests can book airline tickets, vacations and hotels for a fraction of what they paid in the past. Last year, when Google launched its insurance product, Google Compare, it sent a ripple of fear through the insurance industry, resulting in more insurers paying attention to upgrading their technology. Strategy: digital strategies adapt to rapid industry change while supporting overall business aspirations. For example, in the insurance industry, many insurers are focusing their digital transformation strategies on their front-end processes to improve customer experience across all interaction channels. In this digital age, the adage “The Customer is King” has become a reality. Access to tremendous amounts of information through the Internet has resulted in smart, well-informed consumers/shoppers who have become powerful by sharing information on social media. This is a major disruptor for all industries, as customer reviews can make or break a product. For insurance carriers, the ability to onboard producers quickly (in a matter of hours), giving producers access to their book of business and demographic information using a self-service portal is a must. Processing producer compensation correctly and in a timely manner is a must. Managing the producer lifecycle seamlessly is a must. To survive in this new business environment, businesses must digitize their processes: that’s the only way to ensure that the brightest and best producers will work for them. Again, I will use the insurance industry as an example. For insurance distributors, digitizing revenue reconciliation, gamification, compensation, etc. is also a must. To win new business, producers are using digital technologies to gather information, find competing products, talk to their employers, and to talk to their customers. This means each enterprise must enhance their customer experiences with agility, smart decisions, innovations, and digital technology to empower their producers. Many industry professionals are saying digital transformation is the future, but digital transformation is now! Just look around you.